If there is one regret I have about Vietnam, it’s that I didn’t have time to explore more of it. 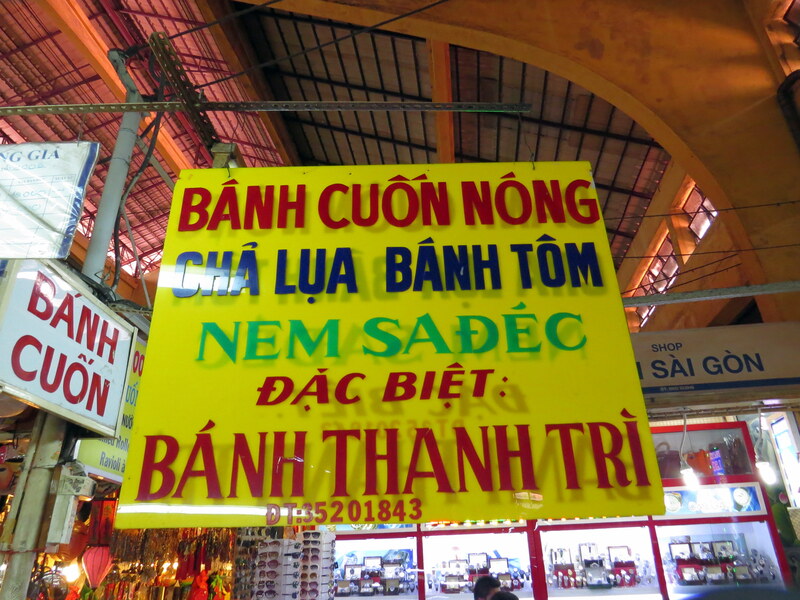 Visiting Vietnam, I only had time to go to Saigon on this trip, and the main thing I learned was that the Vietnamese are fiercely proud of their food. They also love to eat. It is overwhelming, though, if you don’t understand the food and what to order. So, here’s my cheat sheet of where to get the best Saigon food. 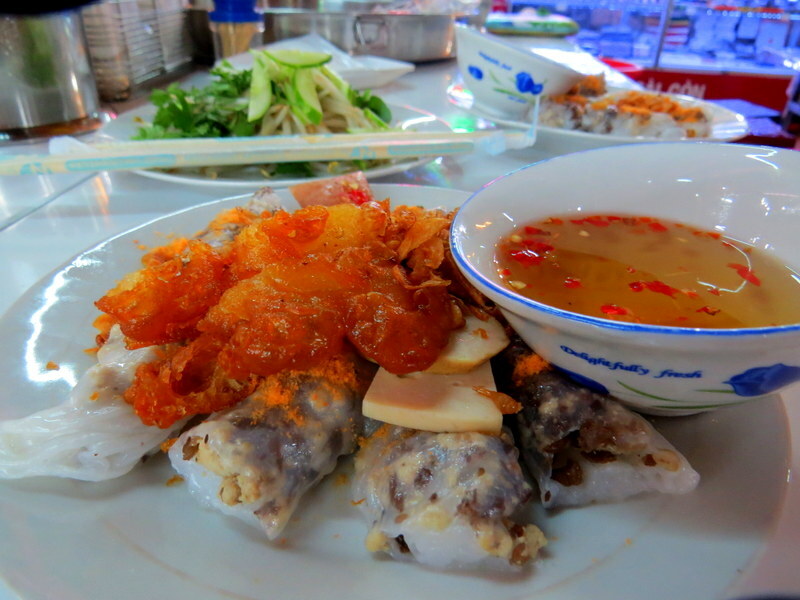 Banh Cuon is one of the first things that I devoured in Saigon, and it was one of my favorite things I ate. These rice crepes were so light and delicate, yet very flavorful. They were filled with minced pork, onions and wood ear mushrooms and sprinkled with fried onions. I was also served a plate of herbs, bean sprouts, and cucumbers to put on top. I went with a local to the Ben Thanh Market. I don’t think that this stall has a name, but look for the yellow sign above the stall in the picture below. The downside of a lot of the Saigon food is that a lot of it contains MSG. So, I was glad to discover Ru Pho Bar. They use old family recipes without any MSG or added preservatives. The atmosphere and presentation of the food was incredible, and I thought the pho salad rolls were creative and outstanding. They are also known for their many varieties of pho, their creative fusion twists, and creative drinks. (I had the bitter melon, pineapple, kumquat, and honey drink.) If you are wanting to try some incredible Saigon food, don’t miss this oasis in the middle of hectic Saigon. If you want to feel like you are eating in a Vietnamese family’s home, go to Cuc Guac Quan. 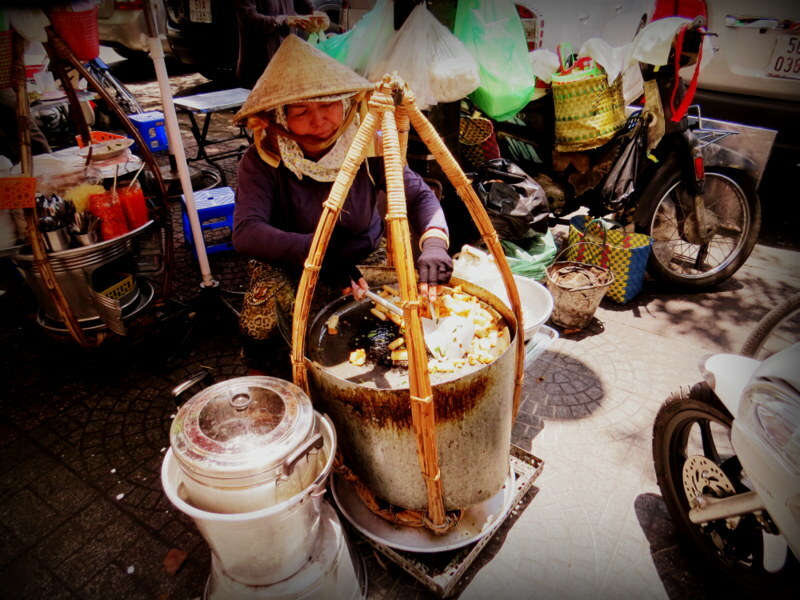 They serve traditional Vietnamese food and use old tiles and clay bowls to serve the food in. The setting is an old house that is decorated with items from the 60’s and 70’s. Don’t miss the soft-shell crab in tamarind sauce and the Vietnamese traditional iced coffee. Crispy pork spring rolls, smoky grilled pork, fresh mint and basil, tart and sweet pickled carrots, roasted peanuts, rice noodles, pungent fish sauce, and spicy chili sauce. 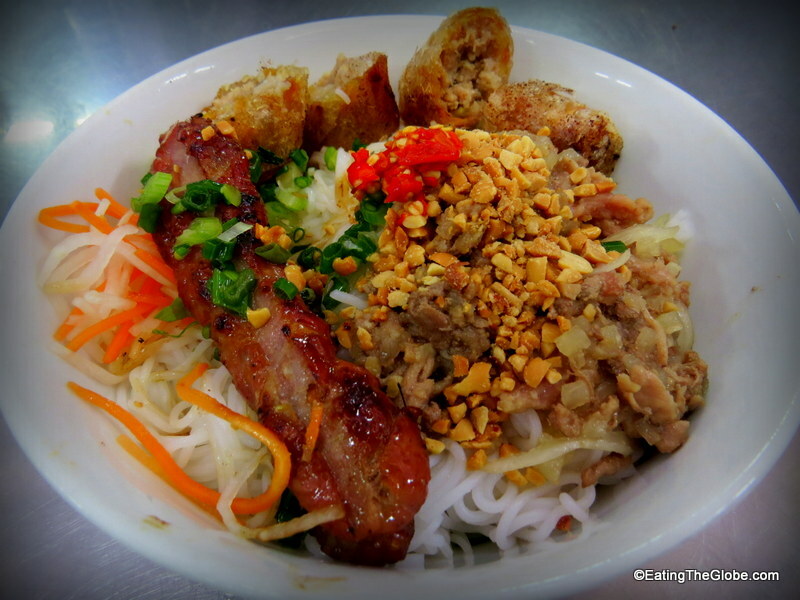 Seriously, what’s there not to absolutely adore about Bun Thit Nuong? The place to get it is at Chi Thong. Chi Thong had the best spring roll I’ve ever had in my life. This bowl was so good, it was all I could do to stop myself from immediately ordering another after the first one was finished. Ok, imagine this. 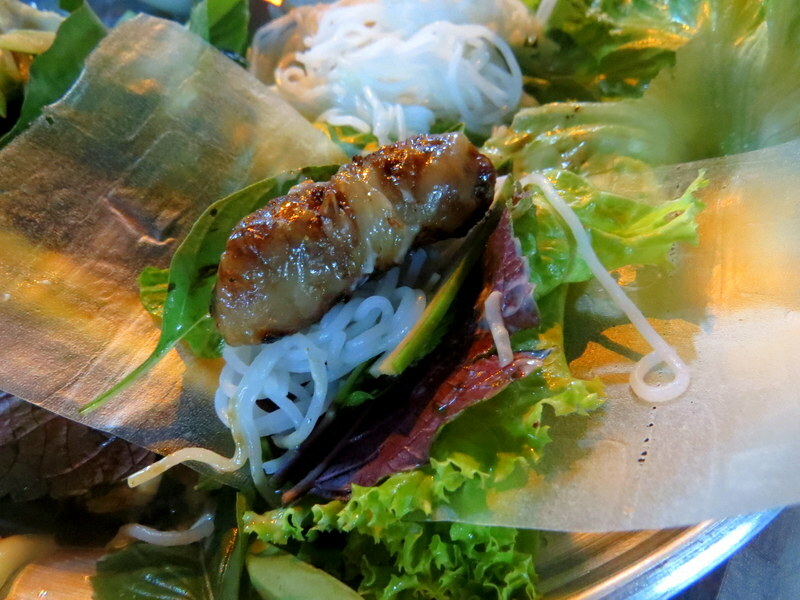 Beef marinated in lemongrass, garlic, and fish sauce, wrapped in betel leaves, and then cooked over a sizzling fire. A fire whose smoke you can see down the street, and whose smell permeates the area for blocks. 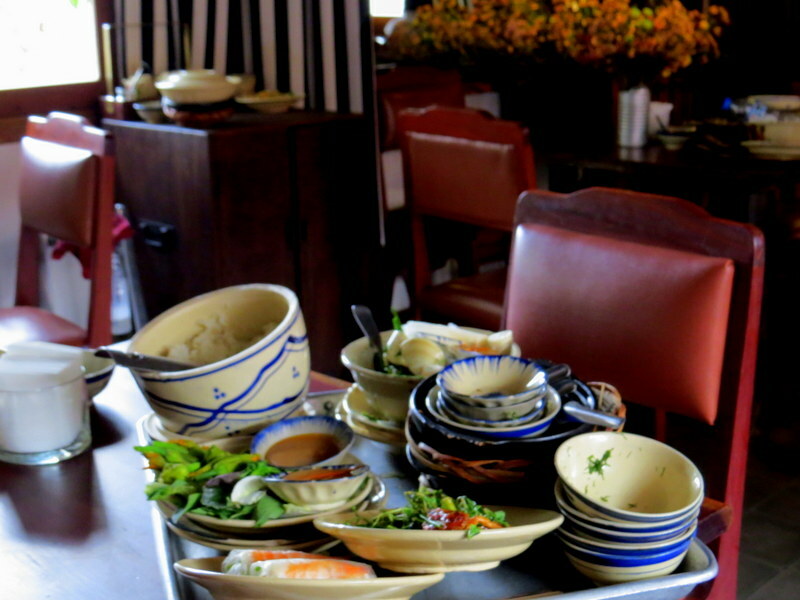 Yes, if you are looking for the best Saigon food, you better not miss Bo La Lot. It’s my absolute favorite Vietnamese dish. I could just eat them plain, but I tried that and got made fun of by the local Vietnamese. So make use of the garnishes. 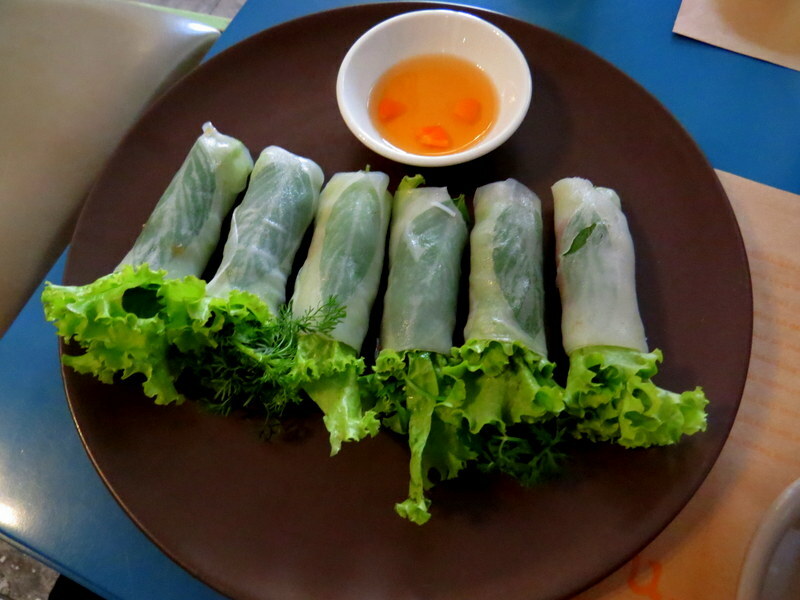 Roll them in the rice paper that you fill with lettuce, herbs, noodles, and more roasted peanuts. Douse it in nuoc cham sauce, and don’t worry about eating too many. They are less than $2 an order, and they are the only thing I regret not eating more of! Bo La Lot vendors come out at night, so just look for the smoke. 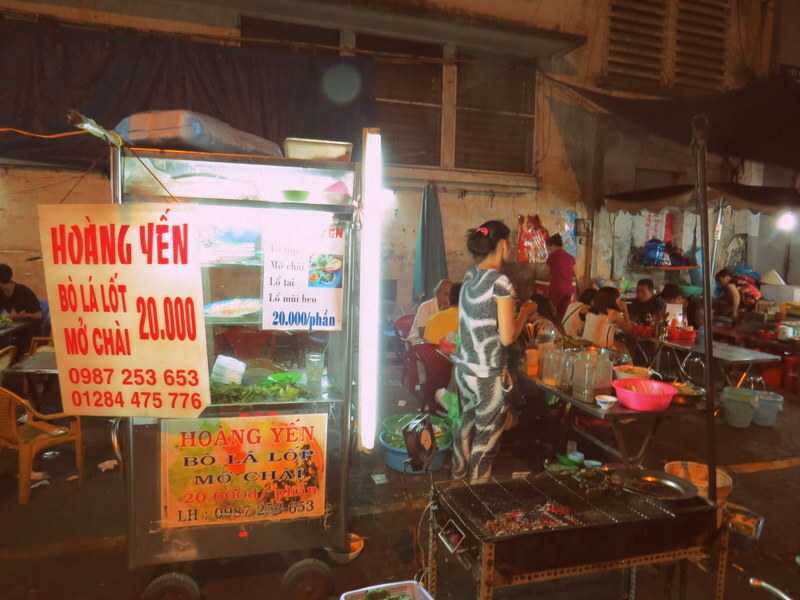 I ate at the streetfood place called Hoang Yen (not to be confused with the Hoang Yen restaurant that is popular on TripAdvisor). It was at 121 Cô Giang Street in District 1, and the picture of the sign is below. 4 Responses to "Eating Saigon: Your Guide To The Best Of Saigon Food"
I loved the food in Saigon. This makes me want to go back soo bad. 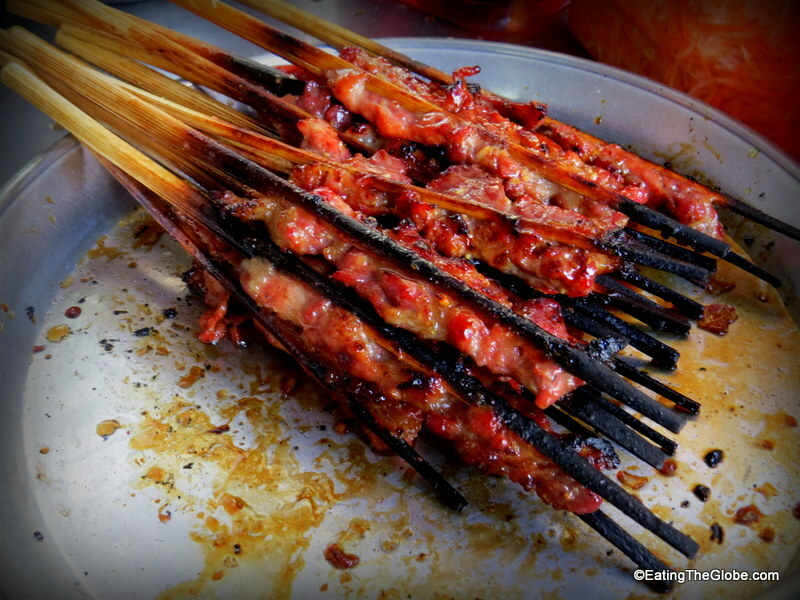 This is the best post on Saigon food eats I’ve found so far! Definitely going to check these places out! 🙂 Thanks so much!